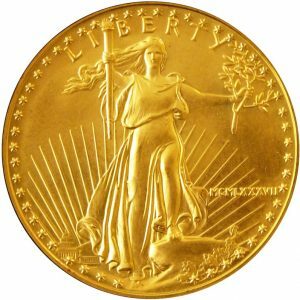 While researching truth and what it means to be genuine I discovered several tests to test if gold is fake or genuine. It was fascinating. You can bite it, scratch it and weigh it to test it. You cannot dent real gold. Man, that would preach! I read an article from Fox news about an anonymous man in New England who found a fake coin. No one believed him. There were “flaws” and anomalies in the coin surely making it not real. But it was those very flaws that made the coin recognized to be the real deal. After taking it to an expert he found out that it was worth over a million dollars. It was only fake to the untrained, uneducated eye. The ones certified in authenticating it recognized it immediately as real, mainly due to a raised number on the coin. It reminds me that God knows what He has placed in us and if we are resonating with Him in our lives and hearts. Being true to God and ourselves is what determines if we are fake or the real deal. Only those who take time to search out a matter or a heart can make those determinations. In a culture where the only real thing is Coca-Cola, maybe our standards of testing need to change. Nearby this article that I read was one that appealed to me more – a scientific breakthrough on body fat. I have to admit they reeled me in and I watched this ad for over 20 minutes. That was 20 minutes I did not have and will never get back. However it did lead me to a different article that talked about Taurine, an amino acid that helps grow brain cells. That was huge. The fake news lead me to a real article about a possible breakthrough for Parkinson’s. The possibility that we can not only renew our minds but increase the cells in our brains would be monumental. In a world swirling with sound bytes and information it is often hard to discern what is true and what is false. It requires discernment and wisdom and both those things don’t come in a microwave format. Concerning God, we know that He is true because He tells the truth; He represents the truth and is the same yesterday, today and forever. Truly that is remarkable. Real means it is not plastic or pretend. Preacher Steve Furtick recently said that if something is taken away it is said to be diluted, if something is added it is polluted. Sometimes people’s faith gets that way. Faith in its purest form is just about Jesus. Religion tries to weaken faith but calling Him “buddy” instead of Lord sounds good but may diminish the fullness of who He is. When we dilute, we soon get deluded. Jesus is full strength power. Others add stuff like standards or measures no one can meet, they add worship, communion, study (all awesome things) but if we use them as rods of perfection instead of practices of grace then we pollute the stream of blood that freely flowed for all and we polarize the saints. Martin Luther worked towards freedom and reformed some of our thinking but when he came up with, or we come up with a new system built on anything but the cross, it may look very similar to the previous system – just with new robes. Religion often confuses the saints from the basic pure message of Jesus and the release of His priesthood (forgiven, not perfect men and women). It is a tough time as churches navigate these areas. Genuine truth faith relied on the cross, just that or Sola as Martin would wisely say. But we added catechism, confirmation, new songs and instead of steps of penance we went with steps of a new church Charleston perhaps. Genuine faith demands the cross, only the cross. All other gyrations and adulterations will leave our hearts weary. In my heart I am singing “Just give me Jesus”. My heart is rather tender today. A precious couple we know recently shared some pain in their lives. It was vulnerable and raw. I do not know why they ventured out so as it seems scary for leaders to be so real. I think it is because they are not building their own kingdom but God’s. They are so busy fighting the gates of hell that they do not have time for plastic faces – the fire would melt them off. Real pain can only be healed by a real balm. It is in those crucible moments that we discover who we really are and who are true friends really are. Maybe that is why God allows the storms to come? I am so impressed by people who live for Jesus and are not swayed by others opinions. We live in a sea of “critics” and American idol judge wannabes. Those wanting the Masters nod live by a different standard and that is not always understood by those waiting for human applause. Jesus tells us that HE is the way, the truth and the life. He is the epitome of vulnerable, fresh and real. I want all my truth to be in God. I want to live His truth through this vessel in His way, in His time, for His glory. I’m praying that God would strip the veneer in me away so people could only see Him shining through. I’m asking that He will bring up the dross and scoop it away so only the gold granted by Him would shine. After all this study, it is still up to God when He does those things. We can’t even be “real” without His divine time and help! So “be real” is not something that comes from our will, our hand but by submitting ourselves to the master potter and letting Him work His hands through the clay we yield to Him until all that is left is His design. One thing that gets better with age is the ability to look back and see trends. The “real” trend earlier in the 80s looked like people letting all their baggage hang out and be so real that they no longer needed all the trappings of religion. It translated to carnal people who only cared about their world. Judgement for others reigned high and the “freedom” was short lived as people gazed more at their lives than the cross. Other times when it was defined as being vulnerable or transparent it produced life but it was only popular to share weakness and sin and not praises. It can easily become lopsided or therapy driven. Clinging to the cross and being real according to the life of Christ means we can suffer or rejoice. Being truthful about ourselves in relation with Christ and others can produce tremendous fruit but will be short lived if it does not extend beyond our neighborhoods. Lord, lead us to walk in Your truth, to feel Your grace and to lead others in Your way. God designs us. God authenticates our worth and value. God can keep us pure and focused on Jesus. We will have to yield to all of these processes. If Jesus is truth, true, genuine and pure, and I believe He is, then following after Him will look like those characteristics and will slowly be formed in us. If we try to “put them on” so others feel, think or find us to be real, then that plastic formation will be a barrier to us and the Christ. Real Jesus, Real Jesus People – unadulterated, pure and ever so genuine. Just give me Jesus.